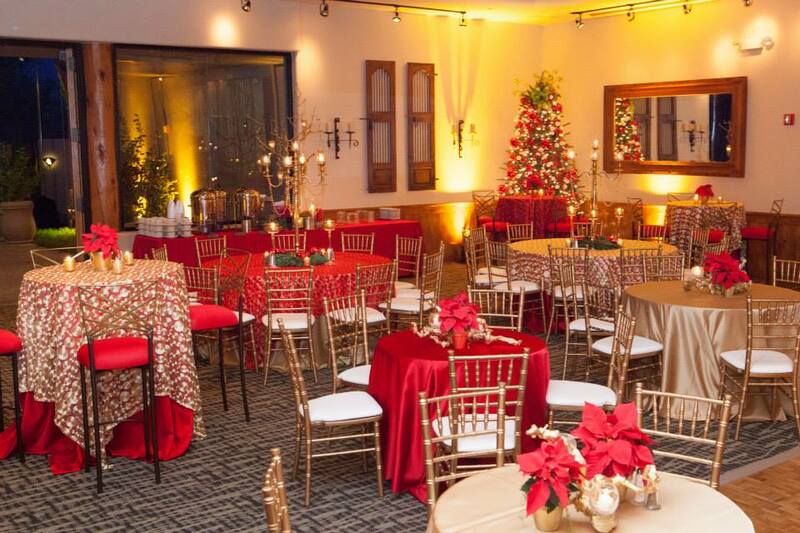 (Dec. 6, 2014) – For the 8th year in a row, we were contracted to plan the Christmas party for one of our corporate clients, and we are happy to share that it was a success! 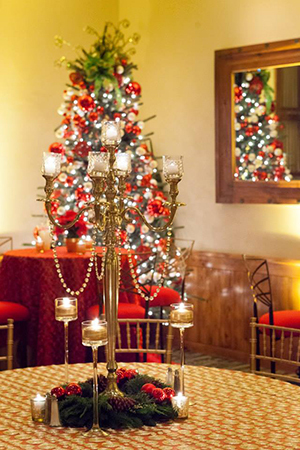 Our client enjoys an indoor-outdoor party style, so we chose the Fairway House at Grayhawk Golf Club this year. We used gold to make the contrasting red pop and we think it added an elegant feel to the room. See our event album on Facebook for more pics. ESA managed the venue contracting, food and beverage, entertainment, décor, set up and strike.